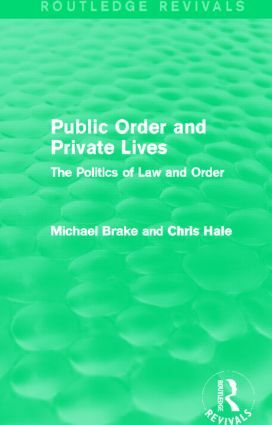 First published in 1992, Public Order and Private Lives is a radical examination of the political forces which shaped the law and order debate in Britain at that time. The authors offer a significant and provoking analysis of Conservative policies on crime, showing that, ironically, they created the very social conditions in which crime flourished. The book argues that the Conservative government undermined basic civil liberties by its increased use of legislation as a means of control and coercion, and as a result of this, crime increased under their governance. Is Conservative Criminology Here to Stay?